Mortgage Cadence Teams with Investment Partner to Support Growth, Advance Offerings and Further Solidify Leadership Position - Berkery, Noyes & Co., LLC. 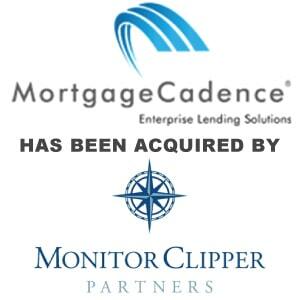 DENVER, August 10, 2010 – Mortgage Cadence, LLC, a leading provider of Enterprise Lending Solutions (ELS), Loss Mitigation Technology and Document Services for the financial services industry, announced today that Monitor Clipper Partners has invested in the company. Berkery Noyes advised Mortgage Cadence on this investment. This investment provides Mortgage Cadence with the capital to expand its market-leading product and service offerings. Through both strategic acquisitions and internal initiatives, the Company’s growth will enable it to continue to exceed customer expectations and serve a wide range of market participants. Serving the mortgage industry since 1999, Mortgage Cadence is a software solution provider whose founding represented the confluence of long-standing expertise in financial services, software development and web-enablement. The Company originally developed a highly regarded enterprise solution that integrated all functions and data elements required to manage and optimize lending performance. The technology behind the product suite continues to provide automation of processes while delivering validation tools, analytics and document preparation and electronic delivery services. The robust architecture of this platform and the flexibility of the software allowed Mortgage Cadence to expand beyond forward origination technology and realize considerable success in areas such as reverse mortgages, document preparation and delivery, distressed assets and loss mitigation technology. Mortgage Cadence remains ahead of the curve by anticipating the future needs of its clients and adapting and growing with them. This proactive approach to innovation has placed Mortgage Cadence at the forefront of the industry from a technology and thought leadership perspective. Mortgage Cadence’s business model is built on assisting companies with their strategic goals by increasing loan volume, minimizing corporate risk and compliance issues, managing the complex world of documents and streamlining operational processes. 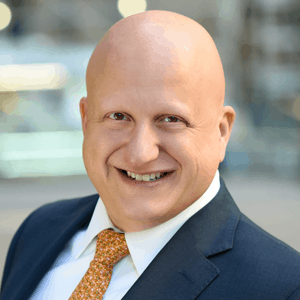 Mortgage Cadence operates in a financial market that is increasingly dependent on reliable technology to process information and data while maintaining compliance and a low cost model. The ability to efficiently automate analysis, task completion, oversight and compliance while enforcing internal processes has become a critical need for lending participants as the current market is seeing a surge of stringent regulatory changes, agency and investor guidelines and complex market demands. As a result, participants in today’s marketplace need to achieve greater efficiencies and regulatory compliance through technology and process in order to compete and remain viable. Mortgage Cadence is the only focused end-to-end enterprise lending solution in the industry and is uniquely positioned to meet the needs of this marketplace today and in the future. Monitor Clipper Partners (MCP), is a Cambridge, MA-based independent private equity firm formed in 1998. MCP has invested in over thirty businesses in North America and Western Europe over the past decade and has a close strategic relationship with the Monitor Group, a leading international strategy consulting firm founded in 1983 with approximately 1,000 professionals in 29 offices worldwide. MCP targets growth-oriented businesses with strong management teams and currently manages over US$2.0 billion in capital. MCP’s investment in Mortgage Cadence represents the continuation of a long track record of investing in successful mortgage technology companies, including Filogix, a leading provider of loan origination and point-of-sale software in Canada. Mortgage Cadence is the leading provider of Enterprise Lending Solutions (“ELS”) which employ an extensive financial services data model wrapped with a native rules engine to deliver data-driven workflow automation tools to mortgage banks, lenders, service providers and servicers. Mortgage Cadence has developed an enterprise solution that integrates all functions and data elements required to optimize, manage and score lending performance. With Mortgage Cadence Orchestrator™ and its complementary suite of solutions, lenders have access to full end-to-end loan origination functionality, automated underwriting, business rule management, product and pricing, workflow automation, document services and compliance tools within one integrated platform. To learn more, please visit http://www.mortgagecadence.com. Buyer: Monitor Clipper Partners Inc.